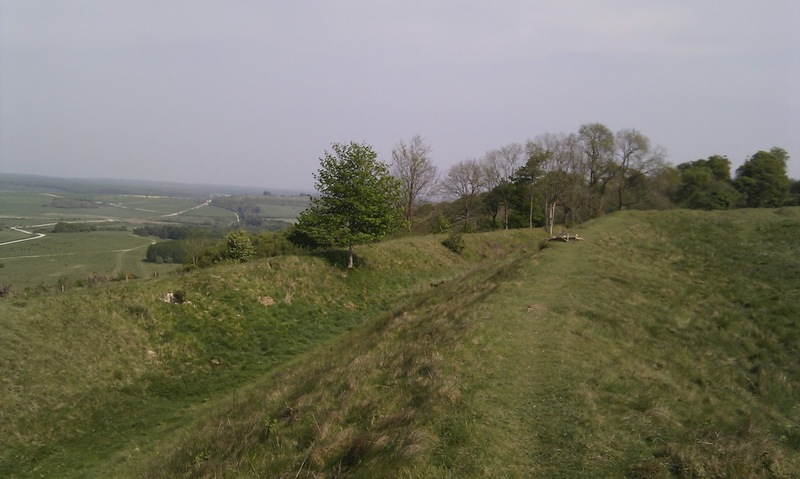 Living on the Wiltshire – Hampshire border, one thing that the local countryside offers me in abundance is ancient hill forts. Below is a quick look at some of those that I have visited recently. Sidbury Hill (also known as Sidbury Camp) is the remains of an Iron Age hill fort that consists of rampart earthworks supported by a double ditch system. Sidbury Hill is northwest of the military town of Tidworth in Wiltshire (home of the Demon Drummer) , and is part of the MoD Salisbury Plain training area. 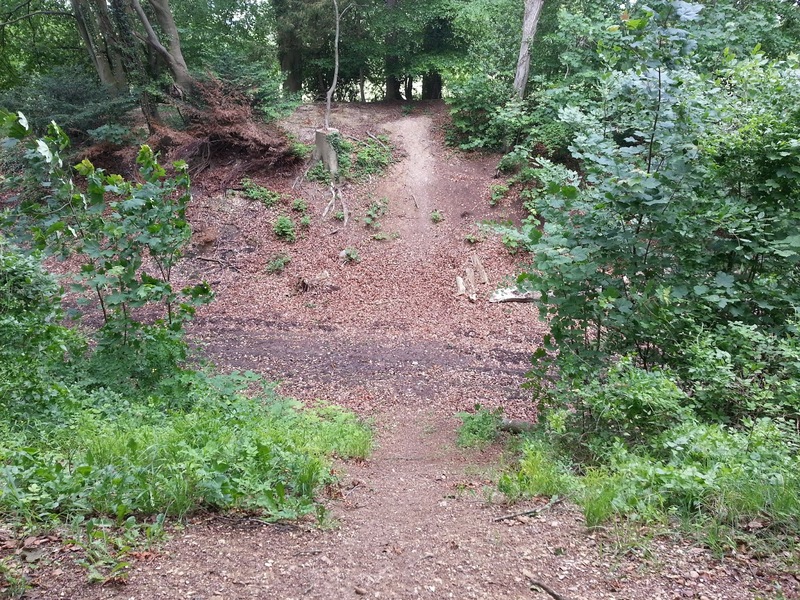 The Sidbury Hill site is approximately 17 acres in area, and excavations in the 1950s indicate that the Iron Age hill fort may have been built on the site of a previous neolithic settlement. Sidbury Hill from a distance. 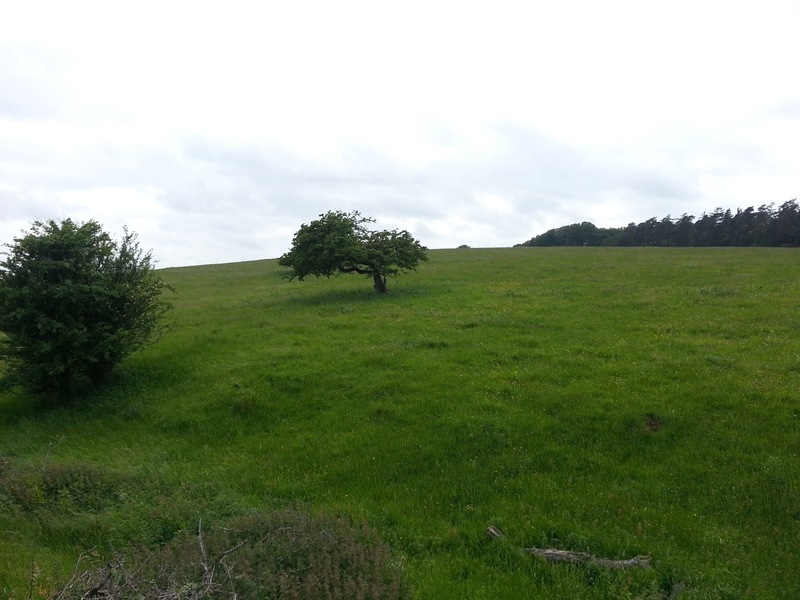 Sidbury Hill earthworks & ditches. 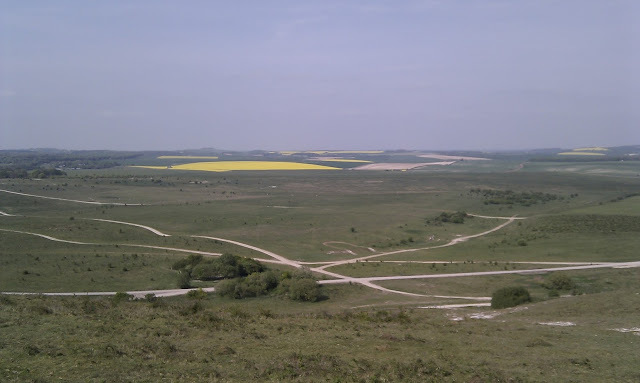 Fosbury Camp, is the site of an Iron Age hill fort in Wiltshire, located a couple of kilometres west of the village of Vernham Dean. 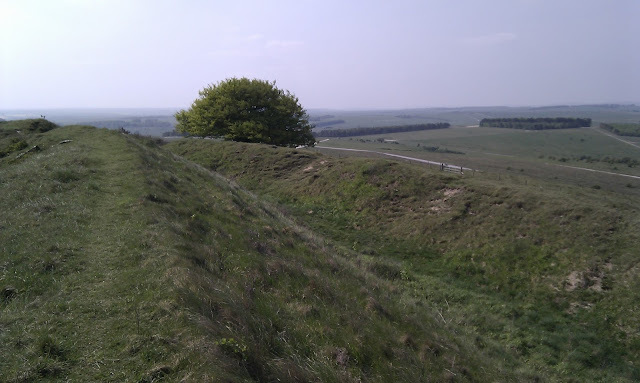 Fosbury Camp sits atop the steep Knolls Down and has a similar rampart earthworks and ditch system to that of Sidbury Hill. The site is oval in shape, and is reported to be approximately 26 acres in area. Fosbury Camp earthworks & ditches. 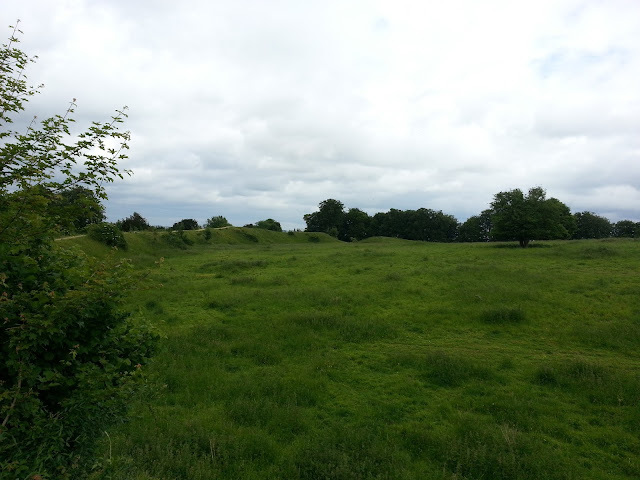 Fosbury Camp earthworks & ditches, with opposite hillside in the distance. Fosbury Camp - looking towards the centre. 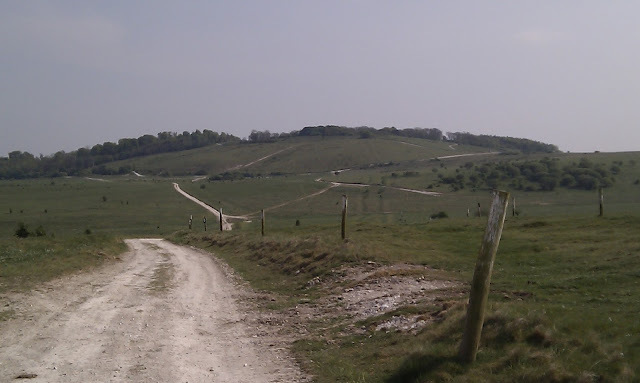 Bury Hill is the site of another former Iron Age hill fort, which lies just west of the village of Upper Clatford (just outside of Andover). The site is about 22 acres in area and the earthworks are mostly hidden by the trees that encircle the site. 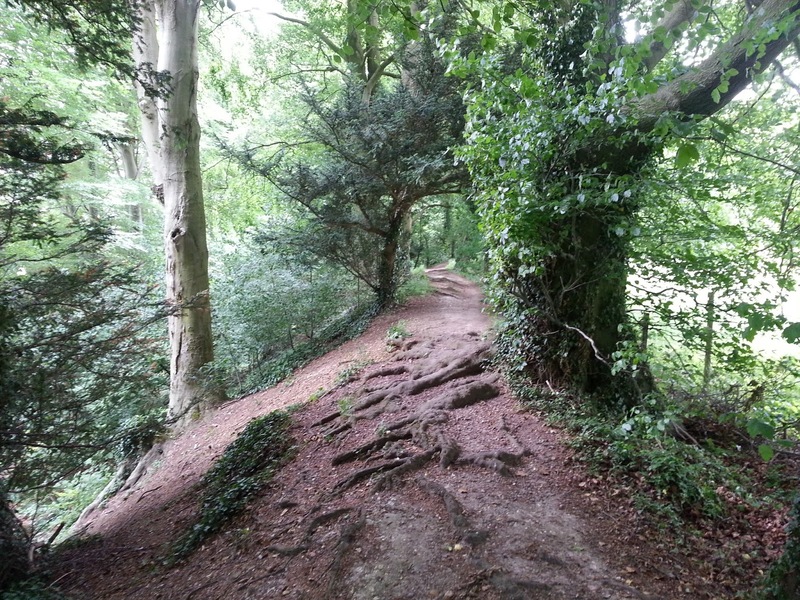 Some sources suggest that Bury Hill was used as a camp by the Danish invader Cnut the Great (careful spelling required there) in 1016 during his campaign to gain control of the country from the then King of England (Edmund Ironside), although some sources also refute this claim. 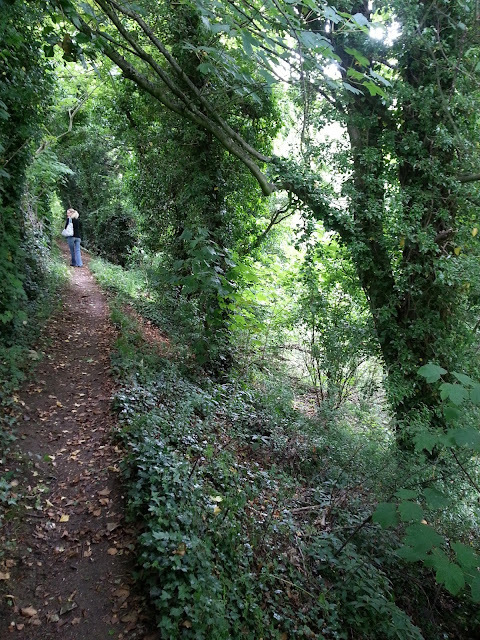 Mrs J walking the footpath along the inner rampart. 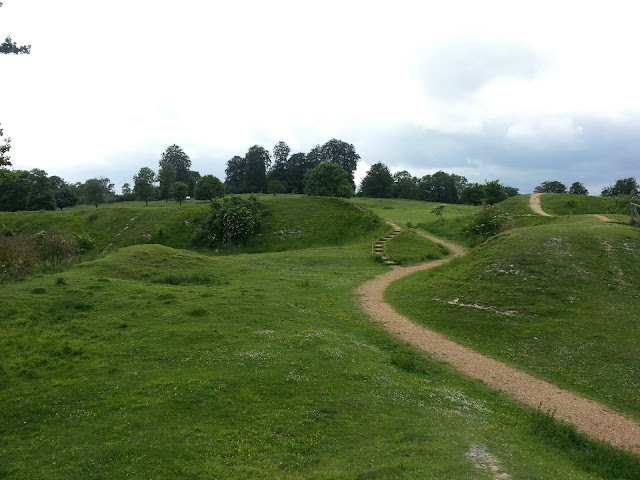 Looking back along the inner rampart. 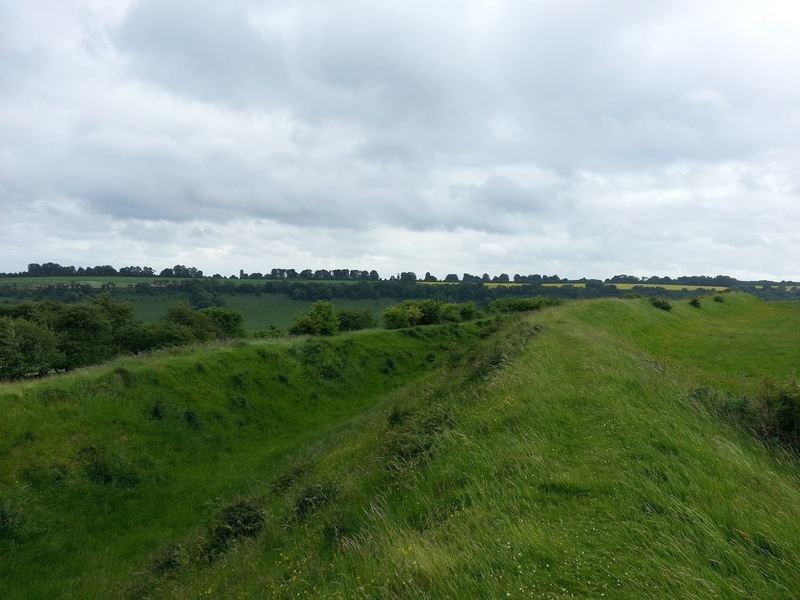 Looking from the inner rampart to the outer rampart. 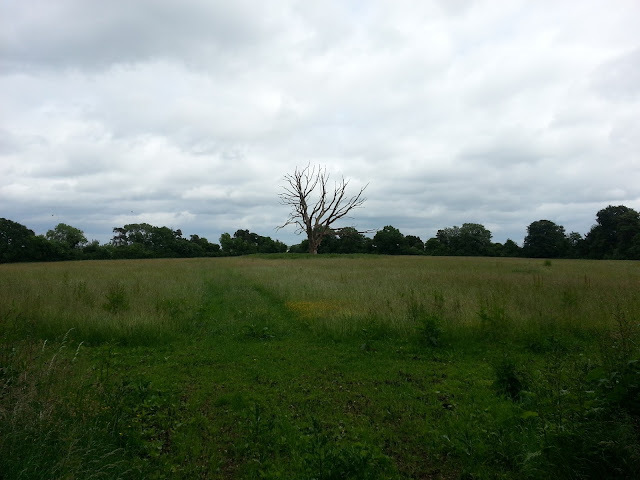 The centre of the site is guarded by a solitary tree. By far the most famous of the hill forts that I have visited is the one at Danebury, which is near the village of Nether Wallop, about 10 miles south of Andover. 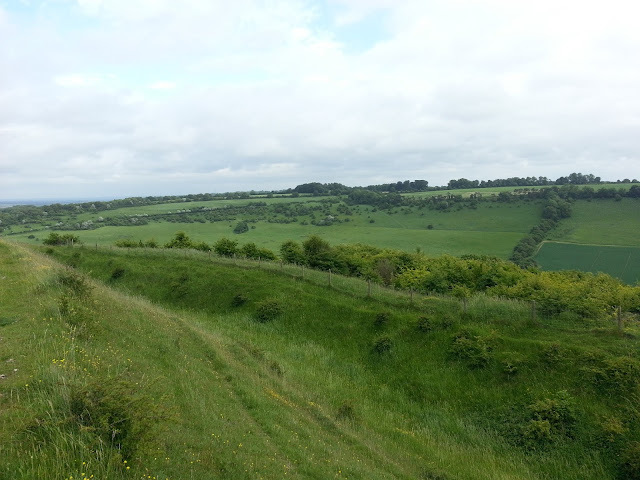 Like the other hill forts mentioned here, Danebury dates to the Iron Age. Danebury covers an area of about 12 acres, and is believed to have been built in the 6th century BC and to have been in use for about 500 years. Danebury was believed to have been home to a community of 300 - 400 people, and excavations between 1969 - 1988 uncovered extensive evidence of occupation including over 180,000 pieces of pottery and 240,000 pieces of animal bone. 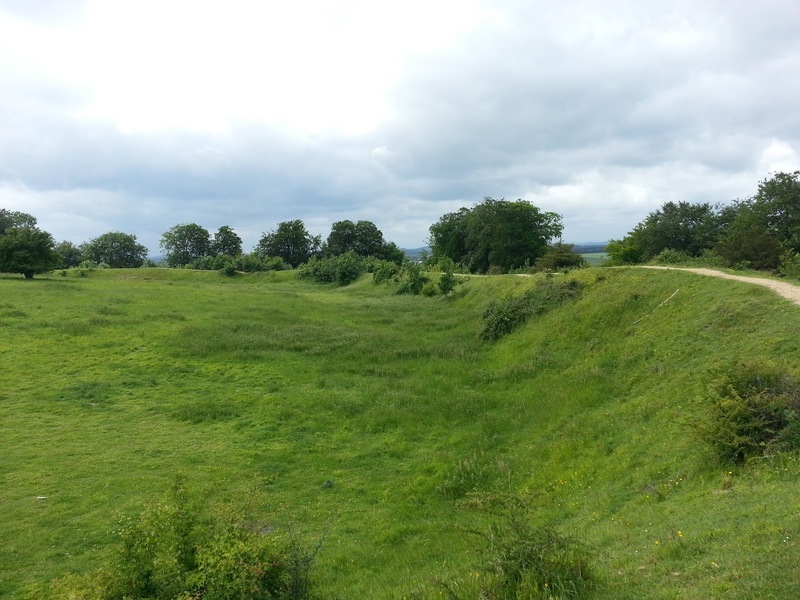 Like most hill forts, Danebury was abandoned around 100 BC. The reason for the general abandonment of hills forts in this era is still a matter of debate. Looking towards the centre of Danebury. Pictures, Wiltshire & Hampshire (June 2013).